On this episode of the podcast, I spoke with Carl Pullein. 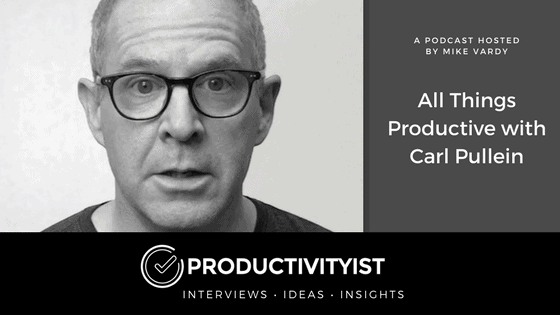 Carl is a personal productivity specialist, presenter and author of Your Digital Life and Working With Todoist: The Book. We spoke about the term “productivity,” how to get the most out of applications and more.